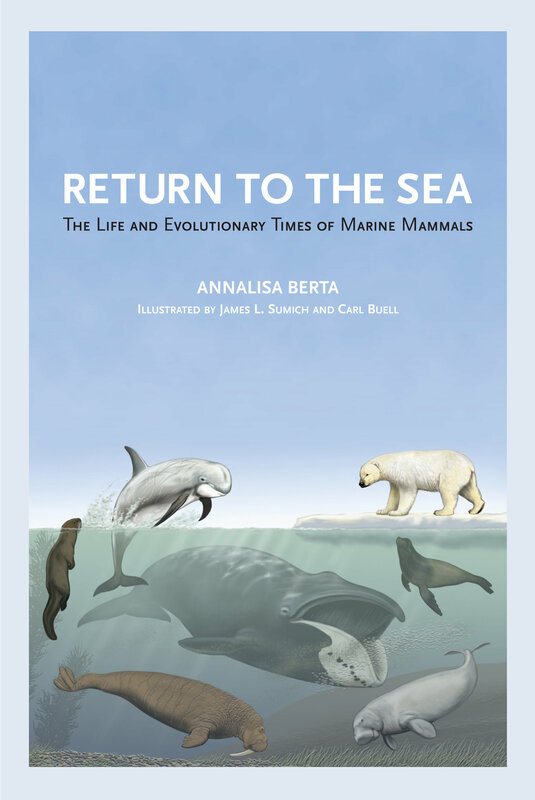 Return to the Sea portrays the life and evolutionary times of marine mammals—from giant whales and sea cows that originated 55 million years ago to the deep diving elephant seals and clam-eating walruses of modern times. This fascinating account of the origin of various marine mammal lineages, some extinct, others extant but threatened, is for the non-specialist. Set against a backdrop of geologic time, changing climates, and changing geography, evolution is the unifying principle that helps us to understand the present day diversity of marine mammals and their responses to environmental challenges. Annalisa Berta explains current controversies and explores patterns of change taking place today, such as shifting food webs and predator-prey relationships, habitat degradation, global warming, and the effects of humans on marine mammal communities. Annalisa Berta is Professor in the Department of Biology at San Diego State University. She has served as the President of the Society of Vertebrate Paleontology, and Associate Editor of the scientific journal Marine Mammal Science.